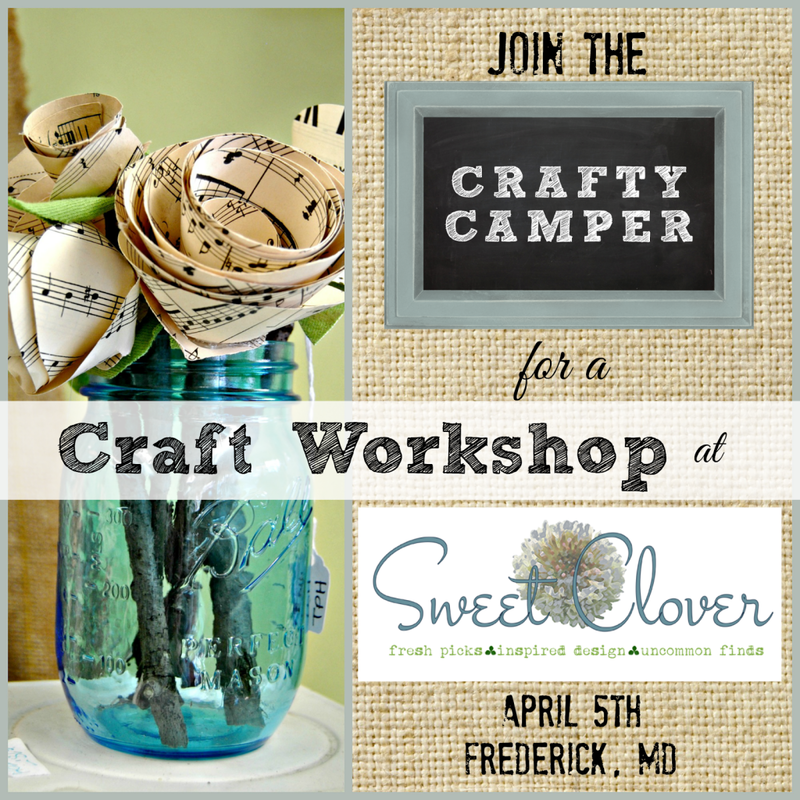 On April 5th I will be packing up the Crafty Camper an heading south to Frederick Maryland, where I will meet up with Cassie of Primitive & Proper for her monthly vintage sale at Sweet Clover Barn. Sweet Clover Barn sale will be hosting a special open air artisan event on April 5th. I will be hosting 3 craft workshops. The workshops will be $5. per workshops. what? crazy I know. I will also be selling handmade crafts and vintage treasures. So, stop by and say hello. I’d love to meet some new faces from the Maryland area! I'll make you a necklace…your choice of animal! Can't wait! I would love to wing it too and come! I hope you make it there Julia. Kelly will be there too! Oh what fun! I just might see you there! It would be great to meet you Sharon. I hope you can make it. How fun!! I'd love to stop in but am not sure quite yet how my schedule is looking since we're in the middle of a home renovation. Hope I can make it! I want the hind end of a horse on my keychain please! Can't wait to get our Thelma and Louise on while we ride down to MD in style!